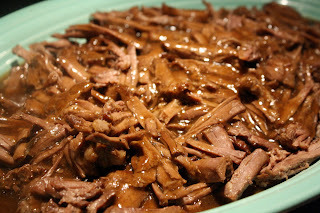 The Food Gospel According to Ruth: Oh the Pot Roast, How Delicious You Are!!! As soon as the leaves start changing into their brilliant autumn colors there is one meal that comes to mind....It's time for a pot roast! There are few meals that can be called in no uncertain terms "comfort food" quite like a good, home cooked pot roast. It was one of the first meals that I learned to cook and I have been making it ever since. 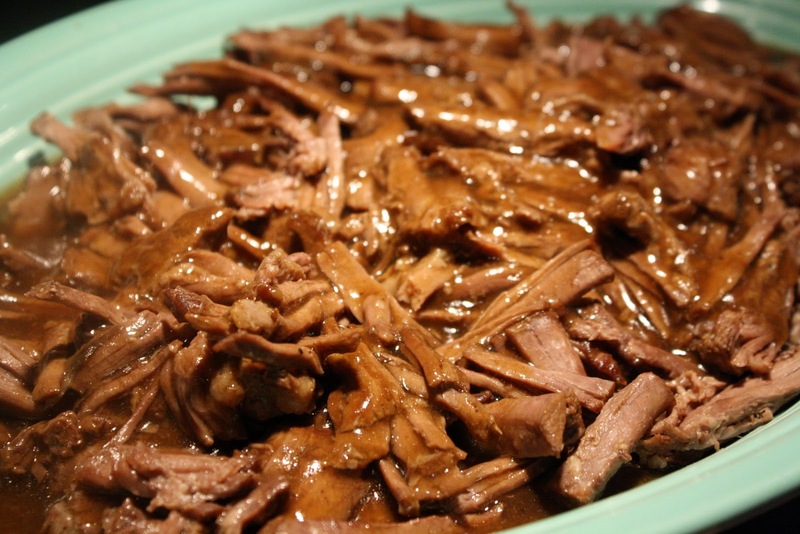 My parents first began trying to make a pot roast soon after they were married and had little success as the roast would dry out, have little flavor and resemble a piece of leather if cooked too long. As my mother typically did, she consulted my aunt Katie who had a true gift in the kitchen. As Mom explained to Katie, she had done everything their mother had told her to do when cooking a pot roast, to this Katie replied "Well there is your problem". Make no mistake, my Gramma is an amazing cook but this dish Katie had truly mastered. She explained to Mom that the secret is how and in what you cook the pot roast. After soaking up the pearls of wisdom from her big sister, Mom tried once again to cook the perfect pot roast. After combining a little of what her mother had done with the advice from Katie, Mom truly mastered the art of a delicious pot roast. Combine flour, salt, pepper and chili powder (I usually use several tablespoons of salt, pepper and chili powder). Rub the salt, pepper, flour, chili powder combination on all sides of the meat. Roll meat in four and brown it in bacon drippings on all sides using a heavy dutch oven. Add onions when you flip the meat. Once the meat is completely browned add the beef broth and consomme making sure to cover the meat. Once all of the beef broth and consomme has been added use a fork to lift up the meat a bit making sure some of that broth gets under the meat so that it doesn't stick to the bottom of the pot. Cover and bake in a 300 degree oven for 4 hours (about 90 minutes per pound). With about an hour and a half left to cook add the potatoes and mushrooms. Return to the oven covered. With 45 minutes left in the cooking time add the carrots. Remove from oven and let sit for 10 minutes once the meat has been removed from the broth. As the meat is incredibly tender simply use two forks to pull apart the meat, removing as much of the fat as possible. To make the gravy, because you MUST have gravy with this meal, remove the vegetables to a separate serving platter, strain the broth as best you can in order to remove and remaining pieces of meat or vegetables. In a small bowl combine 1 tablespoon cornstarch with several tablespoons warm water. Make sure all of the cornstarch is dissolved before adding to the broth. Slowly whisk in the cornstarch mixture stirring constantly to ensure all of the cornstarch is dissolved. Whisk so more, and some more, and a little bit more. The broth will begin to thicken but depending on the quantity you may need to add some more cornstarch (dissolved in water of course). Pour a little bit of the gravy over the meat just to warm it up a bit! Serve immediately with the vegetables, rosemary buttered rolls and a healthy side of butter, just 'cause! OMGgggggg. I don't think I've told you about my love for pot roast. The fact that you mention the rosemary rolls just about sent me into a food coma reading this. You are amazing!! !